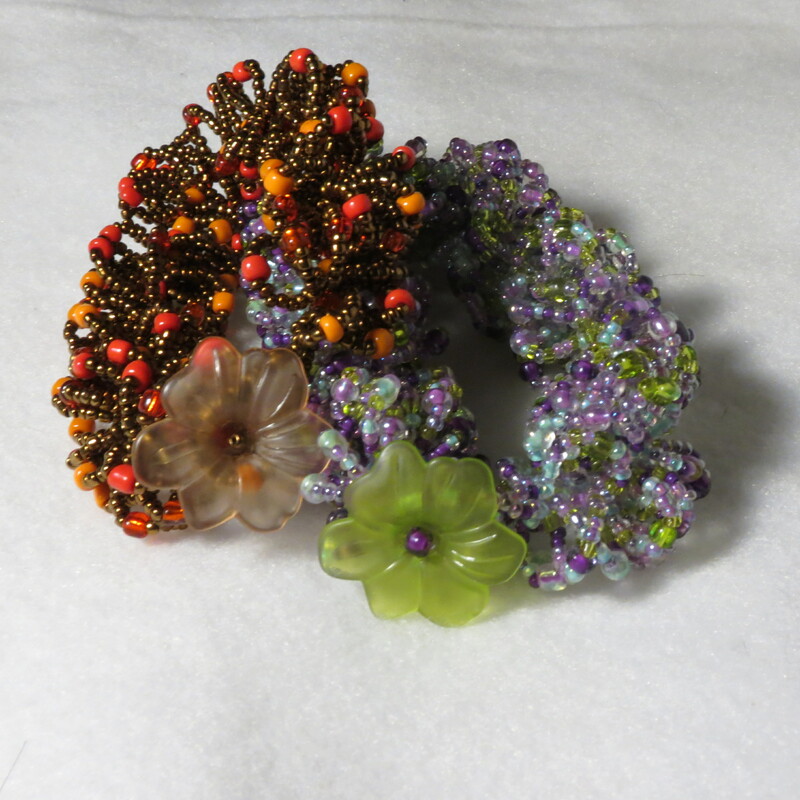 And finally part 2 to my bracelet tutorial. 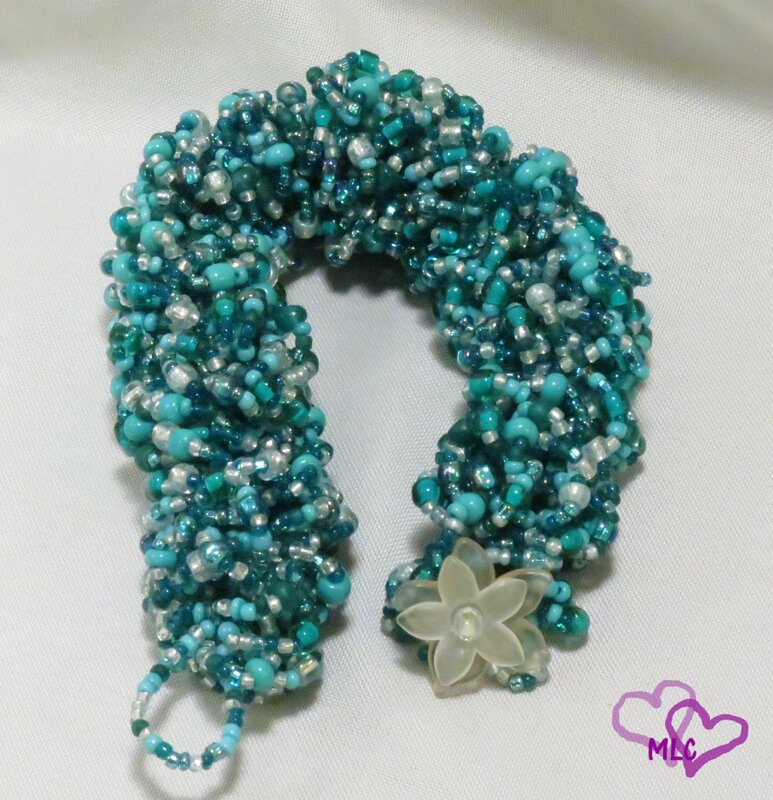 This bracelet is very time consuming, which is why this post wasn’t out last week. I tried as hard as I could to get the bracelet finished, and it just wasn’t happening. It was a crazy week. But enough of that, here is what you’ve been waiting on! I did manage to take a picture of my bracelet while I was working on it. Now that you’ve taken your loops all the way up to your clasp. Here comes the fun part. Weaving in your tail. The best way to do this is to go back through your loops and create half hitch knots. I tried very hard to get a picture of this but I said wasn’t able to do it and it make sense. And I was unable to find a video to show you how to do this, so I am going to explain it the best that I can. 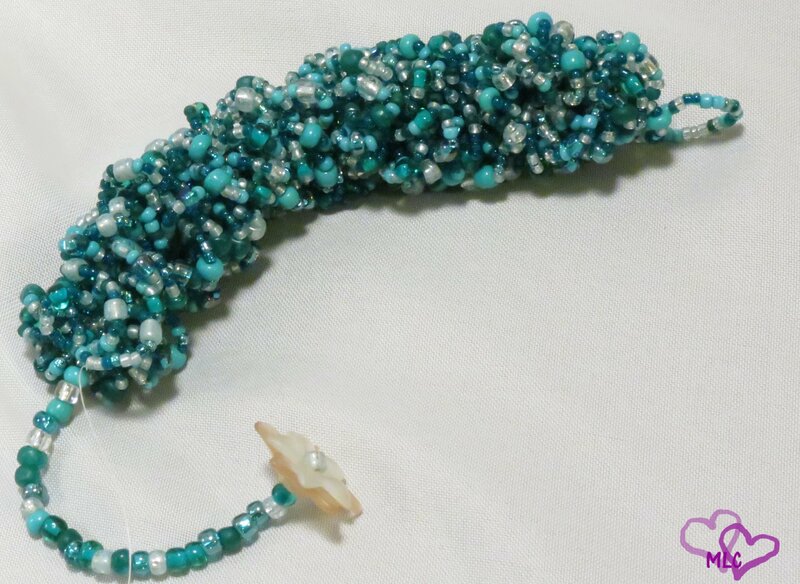 First take your needle back down through several of your beads in one loop. Then you are going to take your needle, then you are going to take your needle under the loop and create a loop around the work. 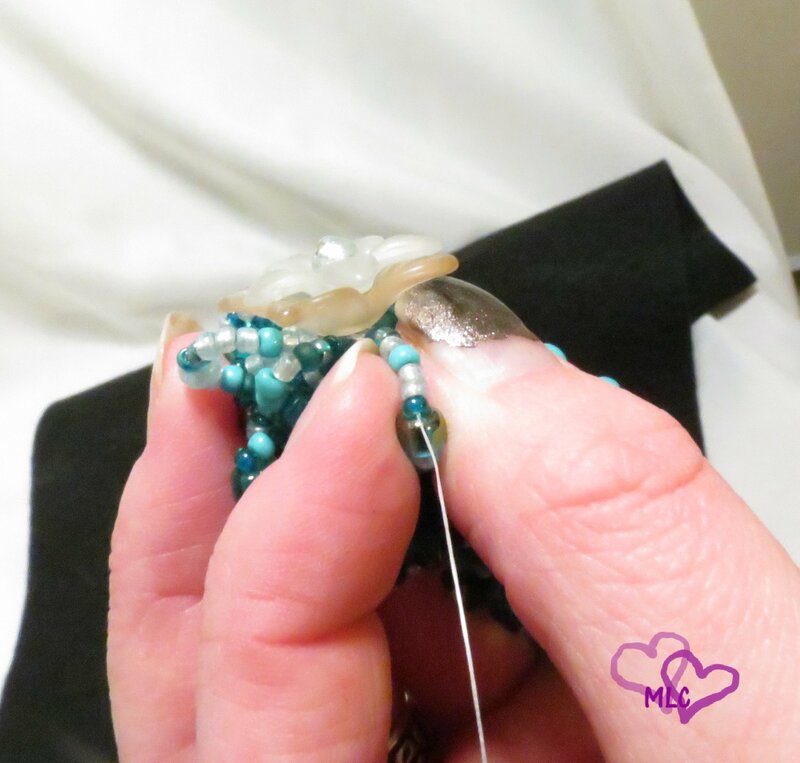 Take your needle and past it through the loop and pull this will cause the thread to go down between the beads and will keep your work together. 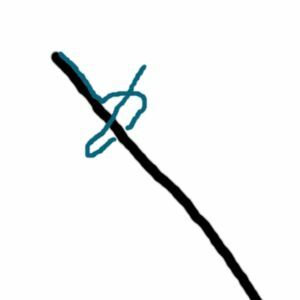 I drew this horrible picture to try and explain the knot better. The black like is your beads, the blue line is your needle and thread. This picture is what it should look like right before you pull the thread tight. And now if I haven’t completely confused you this is what your finished bracelet should look like! These are two bracelets I did a while back.